This past weekend marked the fourth weekend in a row that I was away traveling. I'm pretty sure that that's a record for me here in Korea (or anywhere, really!) 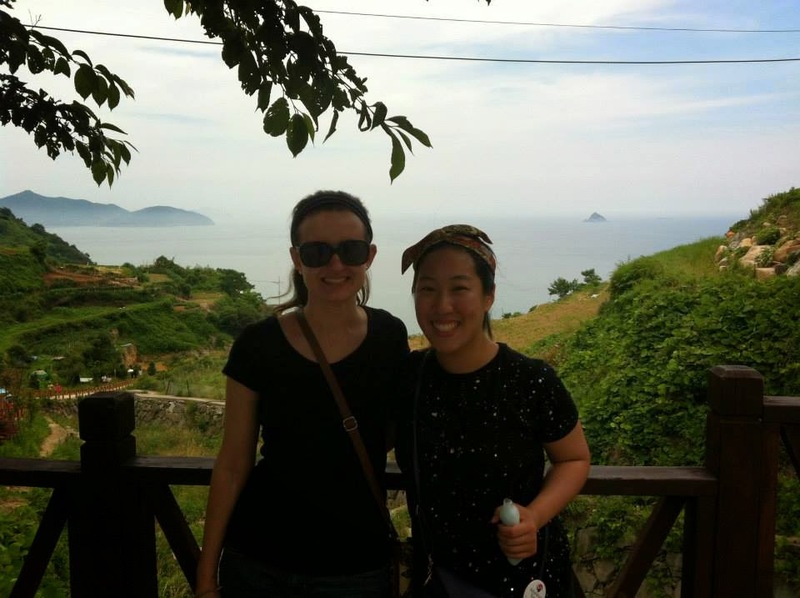 I typically like to take a weekend off in between trips, but with Megan and Nate here there was far too much to do in so little time, and about a month ago my friend Jen also asked if I wanted to go on an Adventure Korea trip to the Darangee Village farming festival. It looked too cool to pass up, so even though I knew that I would be coming off of the exhaustion from Megan and Nate's time here, I agreed and we signed up for the trip. 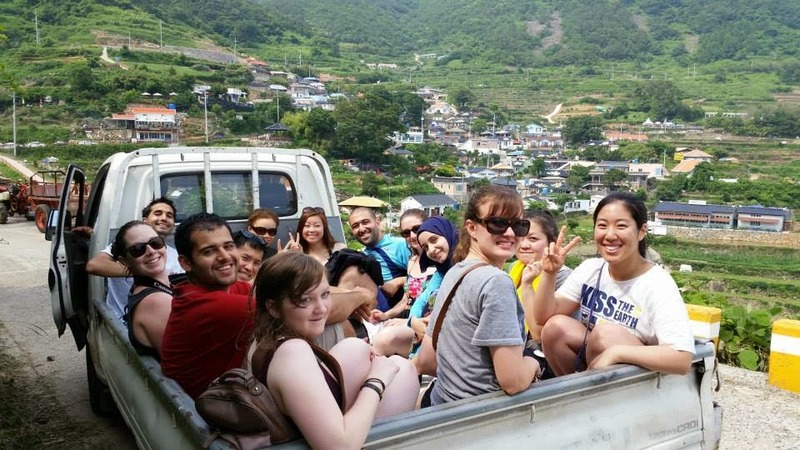 Originally we were supposed to be picked up for the festival in Daegu, but about a week before the trip we were notified that there weren't enough people for them to do the Daegu pickup, so we had to get picked up in Seoul instead. 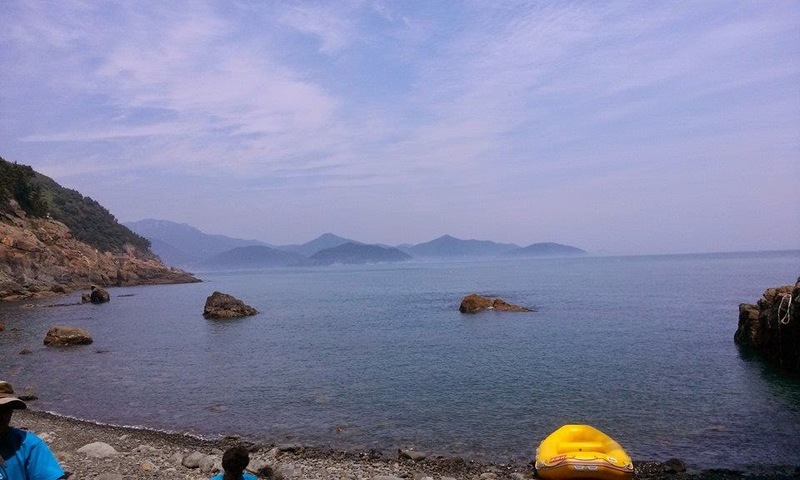 Now, Darangee Village is part of the island of Namhae, which is in the very southern part of Korea. So basically, we went two hours north to go to Seoul....just to go back down to the southern part of the country. 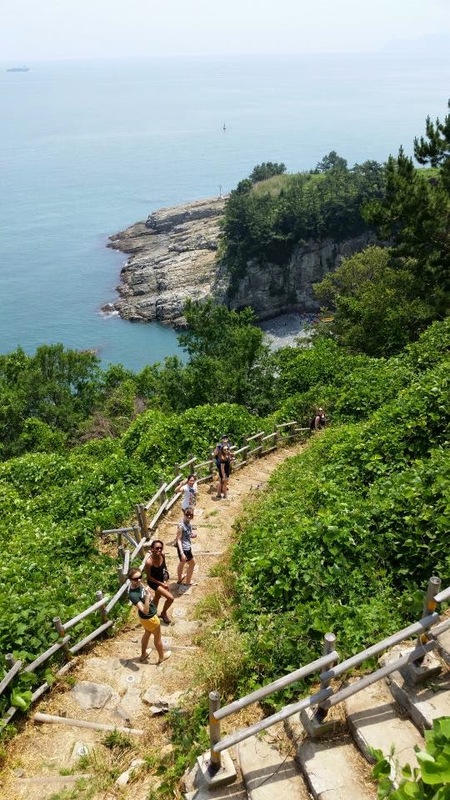 It seems pointless, but actually going directly there with Adventure Korea is way easier than planning everything by ourselves. Consequently, Friday night after school we rushed to the bus terminal to head to Seoul, where we spent the night in Hongdae. I then realized that I've spent three of my last four weekends in Hongdae...I think I should start getting a frequent customer card at the hostel! Needless to say, I'm getting to know that area very well. Saturday morning we had a very early morning because we had to meet up with the Adventure Korea bus at 6:50. After picking up other parts of our group along the way, we finally arrived at Darangee Village around 1:00. Although it was a really long bus ride, it didn't feel too bad because I spent the majority of the time sleeping. Can't complain! Once we arrived, we got shown to our rooms--we were told that is was a home stay, but really it was like we were staying at someone's guest house that is clearly frequently rented out. Not exactly what I imagined, but we had a beautiful view of the ocean from right outside our room. Doesn't get much better than that! After we changed, we headed to Pebble Beach, a very rocky, but beautiful beach. We were only there for about two seconds before they were getting us ready to go rafting. The view was beautiful, but man did my arms get tired quickly! At least I can feel like I did SOME exercise this weekend. And everyone asked me "Why are you going to KOREA?!" Well...did you have a view like this this weekend? Korea's beauty is breathtaking and seriously underrated by the rest of the world. After we finished rafting, it was on to fishing. This wasn't the kind of fishing you're thinking about with the worm and fishing line, but instead we used sea cucumbers and our hands. 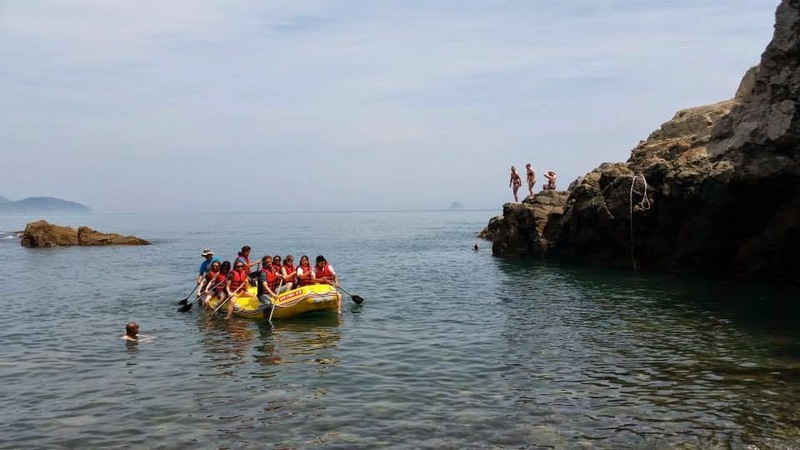 We had to stick the sea cucumber under a rock and as the water came up the fish could bite onto the cucumber. From there, we had to put them in our little cup. It was way more challenging than it sounds, but I ended up catching three of those little guys. Jen was really into the fishing. 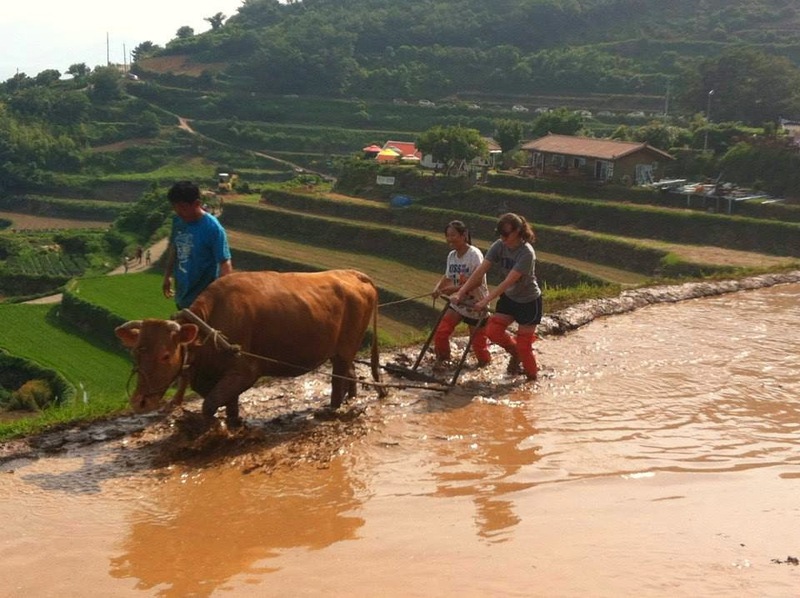 After we finished at the beach, we headed to the farming festival where there were some people there plowing the traditional way, with a cow. 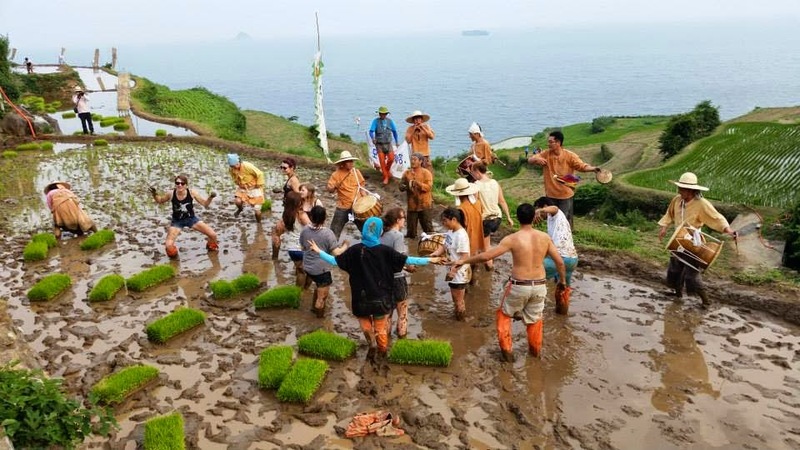 There were also people there playing traditional music, which we were told was meant to encourage the people planting the rice to work hard for a fruitful season. Look at all that mud! 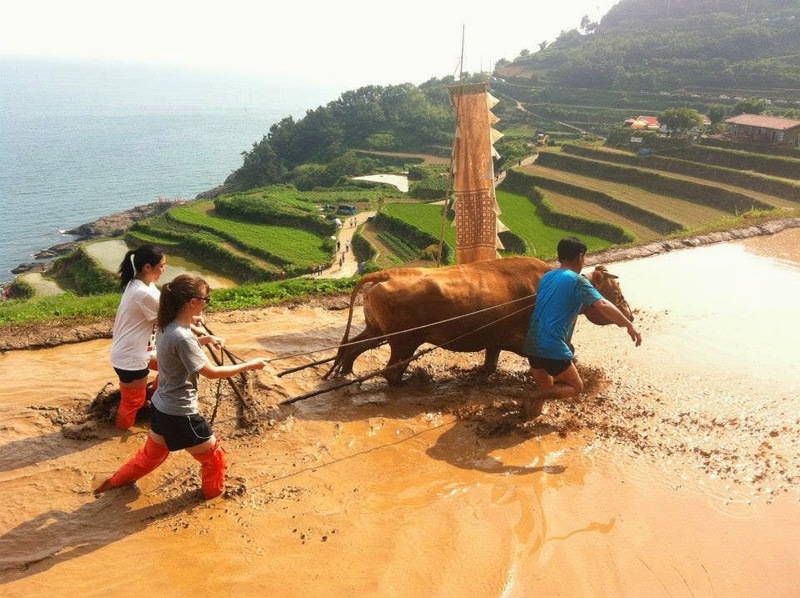 Before we knew it, it was our turn to get into the mud with the cow and do the plowing ourselves. The mud was WAY stickier and deeper than I expected, which made walking quite the challenge. The other people working in the field also enjoyed throwing mud at us, which meant we were rather filthy by the end of our turn. 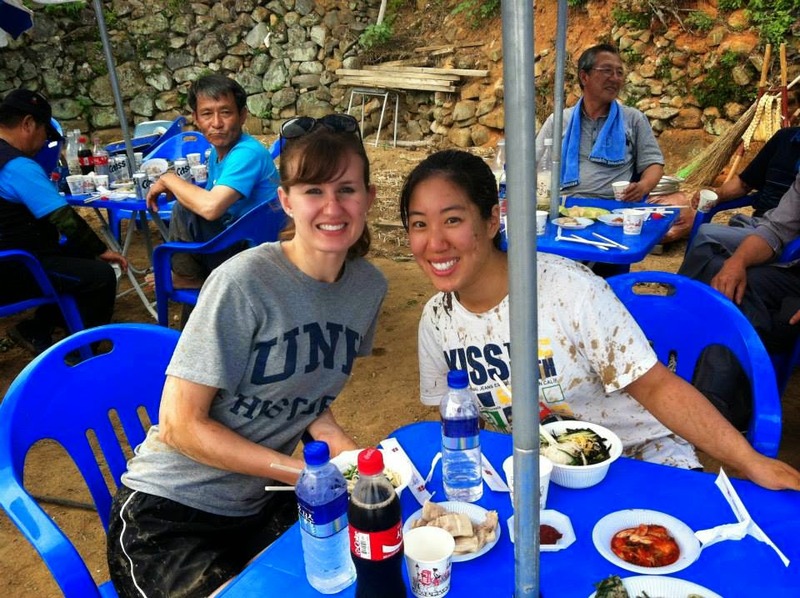 After we finished our plowing experience, we were served some "snacks", which was essentially a lunch of noodles, pajeon, kimchi, makgeolli, and other traditional Korean foods. 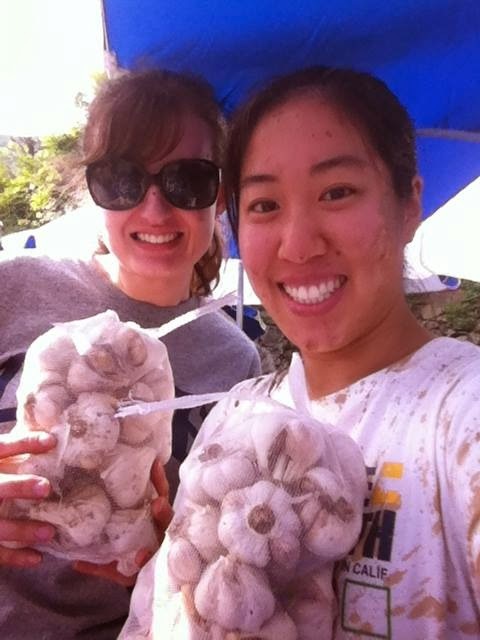 After that, we participated in a race where we had to wear some sort of traditional contraption to carry garlic. It was way heavier than it looked, and in the end Jen just about had a tie in our race, and both won huge bags of garlic, the main product of the Darangee Village. Lifetime supply of garlic. Woohoo! 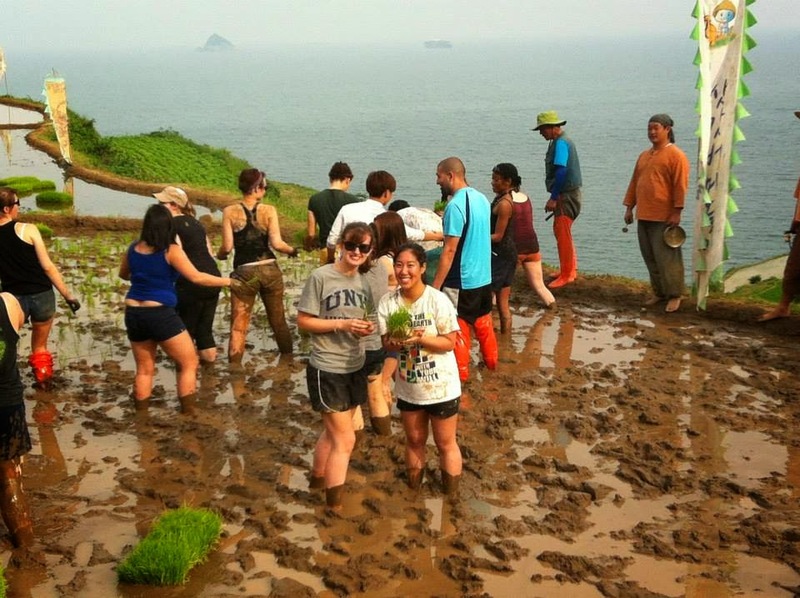 After we finished the race, it was time to plant some rice. Although we were already dirty, this is where things got REALLY messy. We had already taken off our long boots that we were the first time around because we didn't know that planting rice would also be so messy. So, this time we got into the mud with our bare feet. 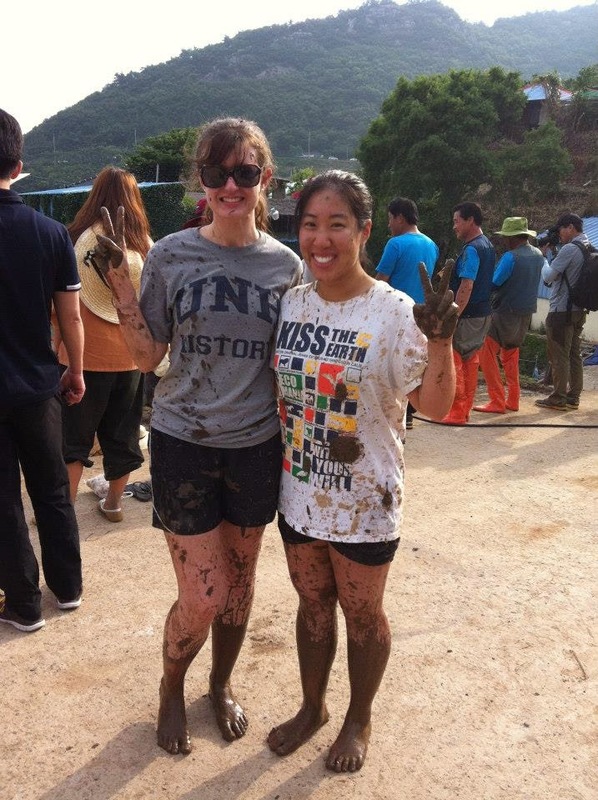 Yes, we put our bare feet into the same mud that the cow had been peeing and pooping into. YUMMMMMM. 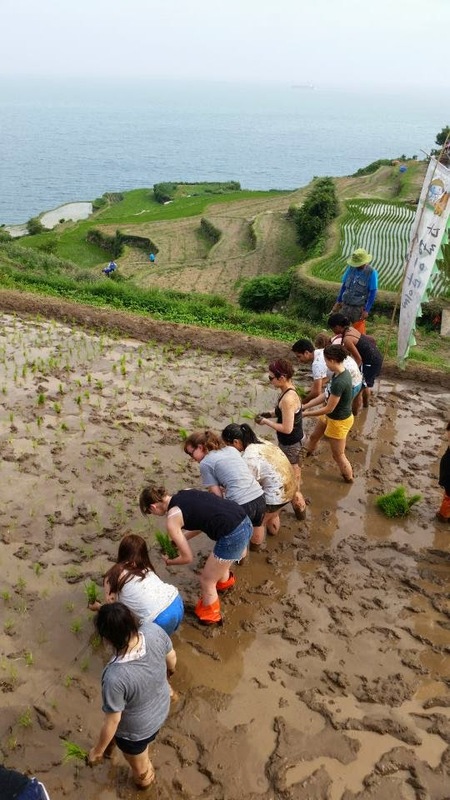 We planted the rice as the musicians played the traditional Korean music. This then turned into a huge dance party/mud throwing/water splashing fight. Needless to say we were filthy by the end, and I think I am all set missing the Mud festival that will take place in July because I don't think it could be any muddier than this was. After we finished in the mud, it was back to our room, where we showered and got cleaned up before dinner. While we were told we would have dinner at our home stays, the owner of our home stay owns a restaurant, so we went there for dinner instead. After eating some traditional Korean food, it was time for the night performances. They had an array of performances that night, most of which I really couldn't understand because well, they were all in Korean. The mask performances always seem strange to me, especially when I can't understand what's happening. However, at the end we could tell that one of the characters died and there was consequently a funeral taking place. The next thing we knew, the funeral turned into an even that required audience participation. The people started collecting the chairs and we were directed to hold hands and start walking in a circle. Things became very upbeat as we continued to hold hands and weave around and around in a circle. People were dancing and things were just plain crazy. We had NO idea what was going on, but we just followed along and did whatever they directed us to do, which was mostly just dancing around with our hands in the air. This was definitely one of the most unique experiences I've ever had in Korea, and something I definitely will never forget! After we left the party, we were walking back to our room as we noticed that they had lights all along the rows of rice. It was incredibly beautiful, and was only made more beautiful by the HUGE moon that overlooked it all, complete with its reflection in the ocean. Does it get any better than that? The moon! This picture doesn't even begin to do it justice. The next morning we had breakfast provided for us again by our host, and then some people went kayaking and hiking, but Jen and I decided we just wanted to stay and explore the village a bit more. Although I love hiking, the previous day was so busy and it was nice just to explore at our own pace. This part of Namhae is just beautiful, and it's always interesting exploring those really small towns where you feel like you can get a glimpse of Korea's past. It's such a huge contrast to the bright neon lights and blasting music of Hongdae that we experienced on Friday, and it's still fascinating to me that places like Darangee Village and Hongdae coexist in the same small country. What do you eat for breakfast in Korea? Kimchi, rice, soup, fish, eggs, and potatoes. These flowers were so beautiful! We are shadowy, but the background is beautiful! The roofs had flowers painted on them. Love it! We had a relaxing morning walking around, and later just laying out by our room, where we had a beautiful ocean view. When the others returned from kayaking and hiking, it was time for lunch, then we got back on the bus and headed back to Seoul. We got back to Seoul around 7:30, only to have to catch another bus going back south at 8:30. By 10:30 we were finally HOME! This was quite the jam-packed weekend, but one I will definitely never forget. 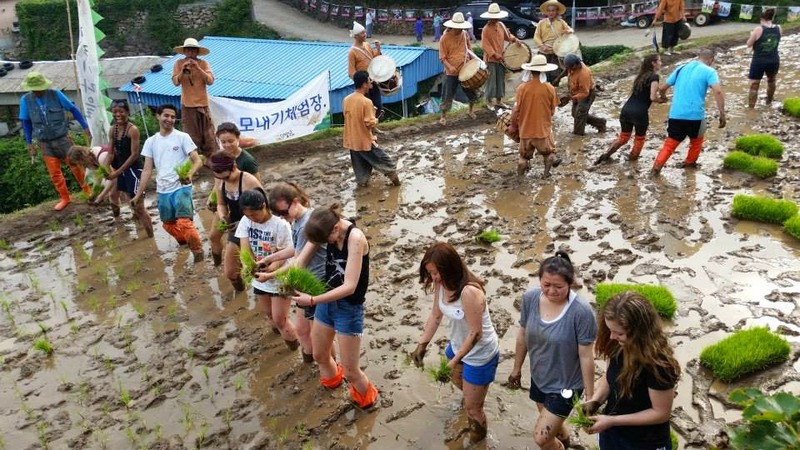 If you would have told me even two years ago that by my 25th birthday I would be living in Korea, planing rice in a traditional village while dancing around in mud, I never would have believed it. This weekend served as a reminder that sometimes God can plan much bigger things for us than we can our plan for ourselves. This has been the most amazing year that I never could have imagined in my wildest dreams, and I'll never stop being grateful for all of these unique experiences. Wow, when was this festival held?